Spinal vascular malformation surgery can be a daunting challenge for neurosurgeons. Possibly complicated by anterior location, intermixed with normal spinal vasculature and having little neurologic reserve room for mistake, spinal AVMs must be approached with careful planning, consideration of preoperative embolization, and use of intraoperative diagnostic tools to improve success. Some progress in improving resection strategy has been made with the use of new intraoperative tools and invasive and noninvasive neuroimaging. 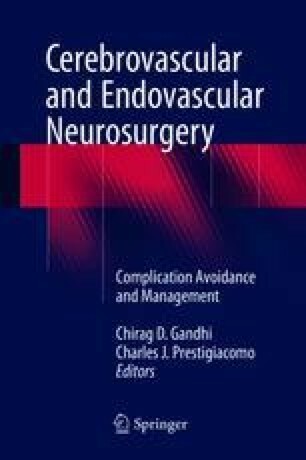 This chapter will look at the clinical presentation, classification, natural history, and current surgical techniques used to treat spinal vascular malformations.